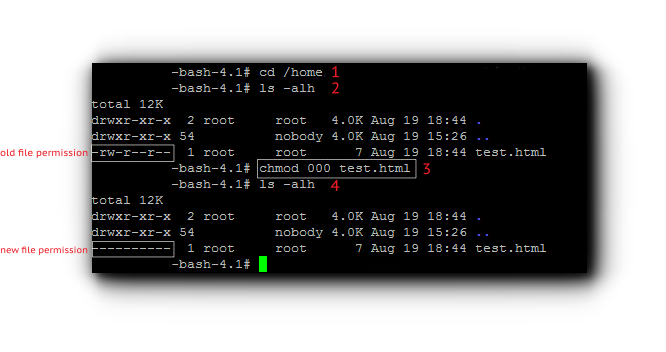 Home/Knowledge Base/Dedicated Server/How to change file permission via SSH? Home/Knowledge Base/Secure Shell/How to change file permission via SSH? Home/Knowledge Base/VPS/How to change file permission via SSH? You may change file permission via SSH. Kindly follow the instructions below. Step 1. Connect to the webspace via SSH. Each user has a set of permission. If the permission is set to rwx, that is equivalent to 7. The first permission is for the owner, second is for the group and the third one is for the user. So if the permission is 644, it should show drw-r–r–. The hyphen or dash means that the permission type is not used.